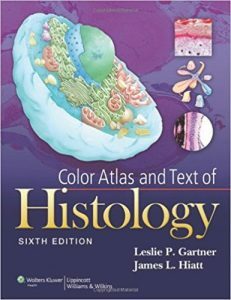 This best-selling atlas provides medical, dental, allied health, and biology students with an outstanding collection of histology images for all of the major tissue classes and body systems. This is a concise lab atlas with relevant text and consistent format presentation of photomicrograph plates. With a handy spiral binding that allows ease of use, it features a full-color art program comprising over 500 high-quality photomicrographs, scanning electron micrographs, and drawings. Didactic text in each chapter includes an Introduction, Clinical Correlations, Overview, and Chapter Summary.